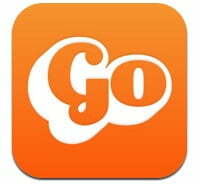 Gowalla’s decided to up the ante with its new version of its iPhone app that integrates with its biggest competitors. Instead of fight it out with Facebook Places and Foursquare, Gowalla is now allowing users to update their location and push the information to its rivals. In a market that’s rapidly becoming overly saturated with location sites, it’s a smart move. Consumers have been overwhelmed by the influx of such services, and being able to combine location updates in one step is sure to win Gowalla the business of anyone looking to simplify the process. Gowalla 3.0 not only has a cleaner user interface but also allows users to actively participate on Foursquare and Facebook Deals, so you can use Gowalla while also earning your badges, mayorships, and Facebook Deals rewards. It also funnels your friends’ activities from the other sites into its Activity Feed, so they can all be displayed in one location – regardless of whether or not your friends actually use Gowalla itself. It’s a bold, smart move for Gowalla to incorporate these other, popular sites instead of gear up to war against them. It also will most likely prompt one of two different reactions from its competitors: Will Facebook and Foursquare block Gowalla from using their APIs, or will they adopt the same strategy and integrate as well? Foursquare CEO Dennis Crowley took Gowalla 3.0’s app for a spin about five hours ago, commenting “Not really here. Testing to see if Gowalla’s venueIDs really tie to 4SQ venueIDs. (doesn’t look like they do. @jw, let’s talk!)”. So it looks like there are still some bugs to work out, and possibly some collaboration from the two geosocial service providers to come. There’s also that little problem of whether or not anyone even cares about checking in. The Pew Internet and American Life Project found that a measly 1 percent of online adults use these types of services daily, and only 4 percent use them at all. But this is the same research group that found less than 10 percent of online adults were using Twitter in 2008, and we all know how that turned out.